Use LinkedIn to boost your online presence. Social media engagement has become vital for every business. It provides an excellent platform to develop their customer base and promote their brand. Whether it’s Facebook, Twitter, YouTube, Google+ or LinkedIn, businesses learn quickly that an effective Social Media marketing strategy is an excellent way to drive traffic to their website. 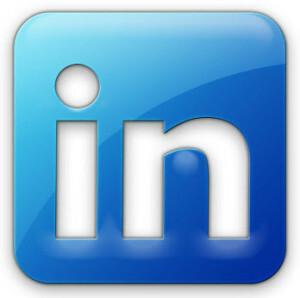 LinkedIn is gaining in popularity and a powerful way to Boost your online presence. Don’t make the same mistake that so many do when they turn to Social Media. LinkedIn is a force to be reckoned with, and one that’s only going to get stronger. The common misconception that LinkedIn is just a glorified Resume or CV site has lost it’s hold and couldn’t be further from the truth, a large amount of LinkedIn users have their own businesses and are looking for new customers, new ideas or guidance. Content may be self-generated, or curated from other news sources. Regardless of the source, it needs to be relevant to your connections. Engagement: sharing your opinion, liking and responding on your connections’ posts, will bring your network to life. Personal: Being personal gives a pulse to your professional persona on LinkedIn. It’s okay to make personal posts on occasion as long as you remain professional. People are able to relate with you when you present as a real person. Promotion is an important part of what you communicate to your connection base. But you need to keep blatant promotion to a minimum. LinkedIn is such a powerful resource and one of the best tools within it; is Groups! Joining groups within your niche provides you with vital information relevant to you and your business. Topics that will allow you to converse with other group members and first hand access to people who you will want to follow. Following your social media marketing strategy and the steps above will help increase the traffic flow massively to your website, should you utilise it in the right way, it can have a massive beneficial effect on your business. If you found this helpful or have any further queries, leave a reply below.